If you happen to have a copy of the current issue of Threads Magazine (#200, January 2019) on hand, please turn to page 32. You'll see my article! It’s titled “Luscious Sweater Knits” and I’m so excited to contribute to this long-running publication that’s a trusted source of information for the home sewist. 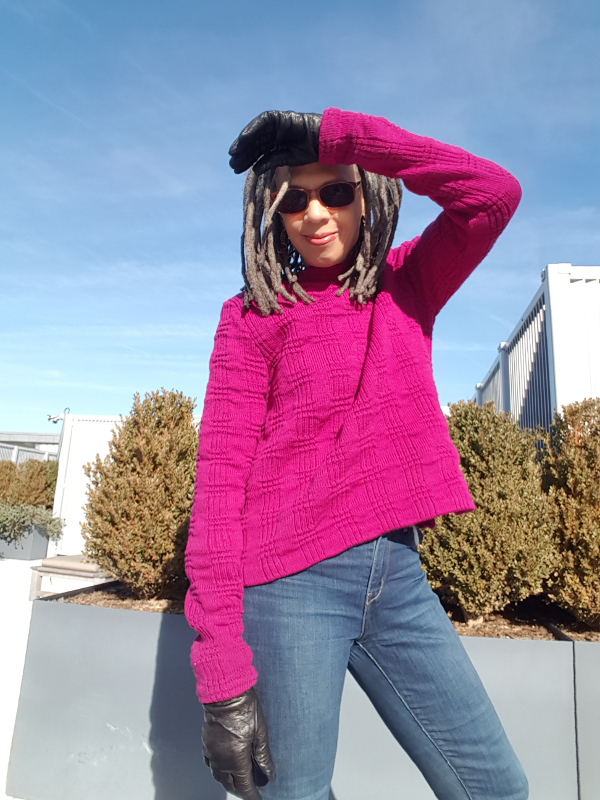 Some of my best cutting and sewing tips for sweater knits are in the article. These aren't all methods used in the cut and sew sweater industry; some are techniques I’ve adapted to work on equipment similar to what you have at home. In this post I’d like to take you behind the scenes and give you a little background to the article. For the "Luscious Sweater Knits" I sewed two full sweaters and almost a dozen small samples to demonstrate various techniques. I thought I’d be required to sew garments made solely from commercial sewing patterns, but when I finally asked my editor she actually encouraged me to use my own design. I ended up using one design of my own (a cardigan) and one commercial pullover pattern. The cardigan featured in the article is based on my tried and true sweater block (you know… the one you see again and again on this blog). The pullover (pictured above) is the Toaster Sweater (version 2) by Sew House Seven. 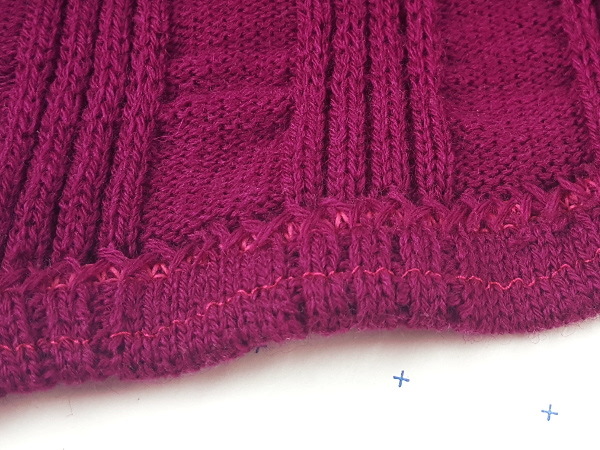 It’s the type of sweater pattern I like -- basic, no fancy seams, but with a few interesting details. The pattern was released a couple of years ago, so I know there have been many versions sewn. For my sweater I used O! Jolly! Washington Square sweater knit in deep raspberry. (I love this color!) I’ve always wanted to use this fabric, and I can’t believe it’s taken me so long! I enjoy working with wool because it’s stretchy and sometimes not as prone to fraying as other sweater knits of similar stitch structure (after proper preparation). Though the pattern is called the Toaster Sweater, “sweater knit” isn’t one of the recommended fabrics. However, it does recommend “mid to heavy weight stretch fabrics with at least 20% stretch” and Washington Square fits the bill, with approximately 25% stretch. When making a basic sweater I usually draft my own pattern but the Toaster 2 has a few clever details I probably wouldn’t have included, so I had lots of fun cutting and sewing this pattern. An interesting feature of my Washington Square Toaster is the subtly scalloped top edge and hems due to the nature of this particular fabric, as well as the way I chose to lay out the pattern pieces. I've also begun hand embroidering an “O!” into the collar of the sweaters I make. Since I was using a true sweater knit, I didn’t fold the fabric. Rather, I cut the sweater flat as I do with all sweater knits and most other knits, too. It's especially important with Washington Square since it has both smooth and highly textured areas. The stitch pattern is essentially a plaid, created with texture instead of color, so it is much easier to match when cutting flat. I increased the length of the sleeves by 2 inches, as requested by the editor, for model sizing. I stabilized the shoulder seams with fusible interfacing. Fun fact -- I had committed myself to following the written instructions as much as possible and, because there were no instructions for adding stabilization, I forgot to add interfacing when sewing the shoulders. 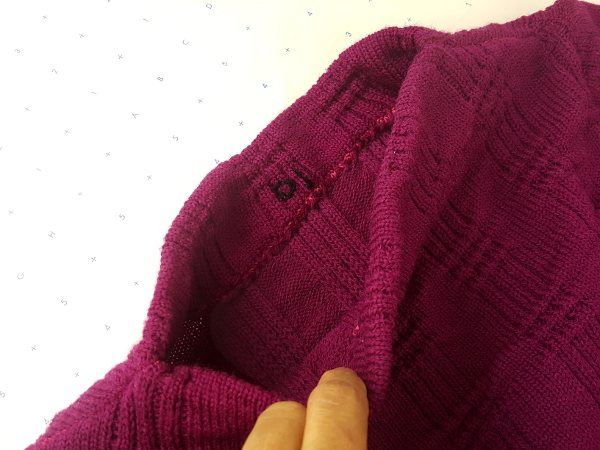 I didn’t realize this until the sweater was completed so I added interfacing at the end with a (somewhat sloppy) stitch in the ditch from the right side and by slip stitching the edges on the inside (I didn’t think the fusing would hold if applied after the shoulders was sewn). I hand sewed the hems (bottom, neck, and sleeve) by hand with a catch stitch using yarn harvested from scraps. I stabilized the hems with a thin mesh, machine basted inside the hem (as described in the Threads article). What I would have done differently, besides adding shoulder stabilization earlier, is use a thread in my serger that is a closer color match for my fabric. 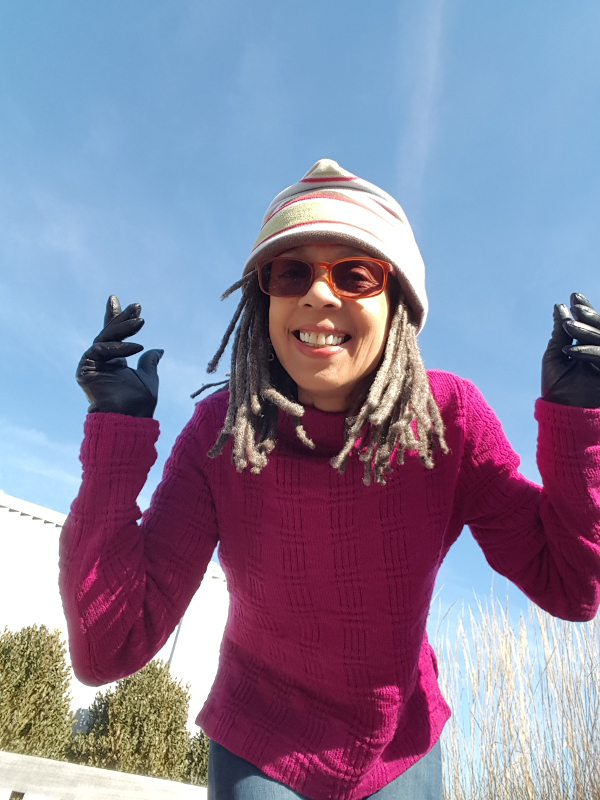 I used MaxiLock Stretch and it only comes in limited colors. Since I went through the extra work of hand stitching the hems with matching yarn I should have found a matching thread, even if it wasn't a woolly, stretch thread. 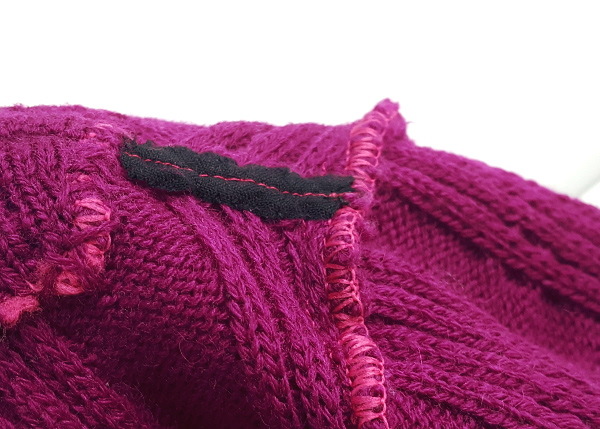 I think it looks a little odd to see the brighter fuschia poking out unevenly between the catch stitches but I’m not really too disturbed about it. Soon I’ll write another post on the preparation and sewing of the cardigan featured in the article. Meanwhile, if you haven't already, I invite you to check out my article in issue #200 of Threads. The article is also available online. And if you'd like to dive more deeply into working with sweater knits, be sure you're on the list!